A quick Google search later and wouldn’t you know it… it’s been done. Ugh sad face. 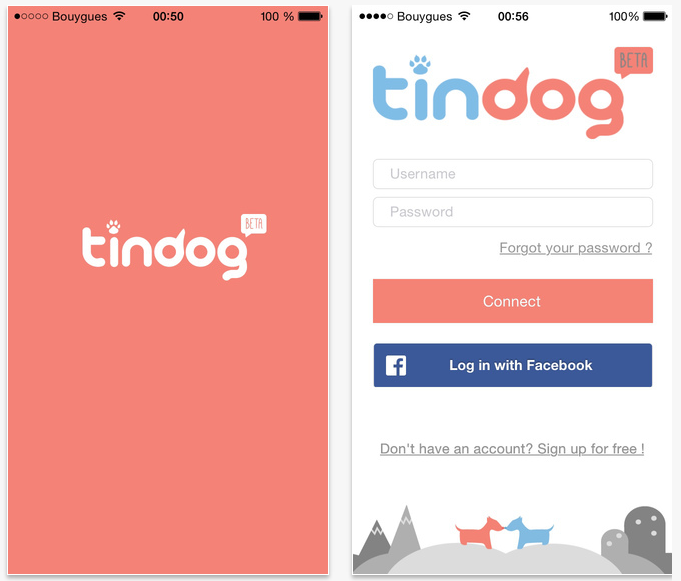 Created by the folks at Holidog, Tindog aims to connect owners and pets with the ease of a swipe left or wipe. Now in the name of thorough ‘bloganism’ – blogging/journalism (I think I just coined a new term)* Dexter and I downloaded the app to investamagate. *EDIT: That term is already taken. Losing at originality today! To set up an account it’s fairly straight forward, you connect your Facebook profile, fill in pet particulars – ASL, upload images of pet and parent, write a quick bio and you’re away! Dexter had specific requests for his profile and knew exactly how he wanted to appeal to potential furpals #available. So with careful consideration we selected the following images from his Insta. So with careful consideration we selected the following images from his Insta. Dexter wanted to femonstrate his many sides, his cute and carefree tude, his love of pub crawling and his ability to drive pals around town. Potential pawpals included the likes of these two. Note: Captain Franklin is both a Captain and enjoys a bevvy. Dexter digs the ocean and as previous images denote… he enjoys a drink! Good match! So what do we think of Tindog? Hard to say really we didn’t get a match. Dexter is adorable so clearly that’s not the issue. Plenty of Sydney users so another non-issue. What I think lets Tindog down for Aussie members, is the members! Unfortunately members aren’t logging in enough (I know this by their last logged in date) and if notifications are turned off… they certainly aren’t seeing our swipes of interest. This application could be a lot of fun – not only in the process or ‘act’ of finding potential pals but the actuality of finding regular doggy play-dates for your beloved furball; something that can be very difficult in larger cities. After using Tindog for some time more matches were made. Tindog certainly has some ways to go if it will ever be truly popular in Australia. We’ll keep it on the third page of our iPhone app collection for now, along with Dexter’s hopes and dreams of finding local furpals #sadface.